Exterminating Angel Press, 9781935259343, 288pp. The heartbreaking, hilarious, and inspiring story of one man’s quest to create a better life for three abandoned childrenand himself. 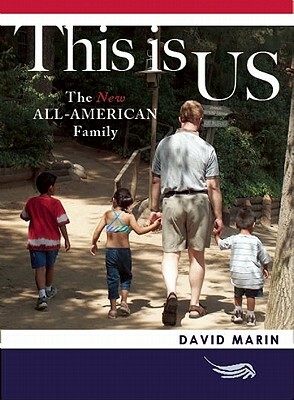 DAVID MARIN (pronounced "marine") is half Puerto Rican, half Irish, and all American. Raised in the Midwest, he went to prep school on the East Coast, college in Colorado, and law school in California, where he has spent the past twenty years. A media company executive by profession, and an adventurer by nature, he has traveled to eleven countries and visited thirty-six of our fifty states. He has skydived in Arizona, water skied on the Caribbean, and rescued olive ridley sea turtles in Costa Rica. By far the greatest adventure of David's life is fatherhood.